Monte Bianco, also known as Mont Blanc, is an autumnal dessert typical of Northern Italy. 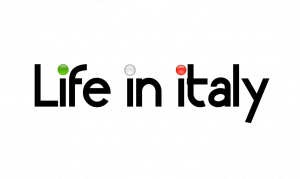 Very likely, it originated in France, but became popular in north western Italy, too, especially in Piedmont and Lombardy. 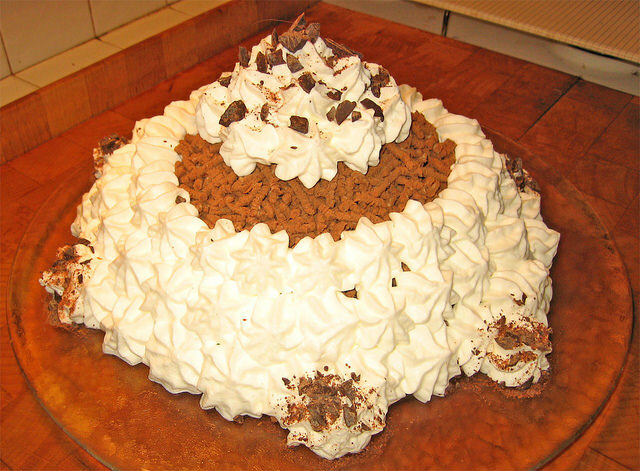 There are different types of Monte Bianco: one – the one we are presenting here – is a creamy dessert made of chestnuts and whipped cream. The other version is a more complex preparation where a chestnut cream is paired with sponge cake, meringue and whipped cream. The reason I chose this recipe is because it yelds a result similar to the Monte Bianco my mom used to make when I was a child: it brings back loads of memories! Needless to say, you have to love chestnuts to enjoy this dish, as it is as chestnutty as it can possibly be. The preparation in itself is not difficult, but it can be lengthy, especially if you are using fresh chestnuts, as I will explain below. The result is well worth the work, though! The first thing to do is taking care of the chestnuts. Now, you can use either fresh ones or dry ones (which we call "white chestnuts" in Piedmont, because they are skinless and light brown in color): if you have dry chestnuts, soak them in lukewarm water overnight or for an entire morning, then boil them for about 40 minutes. Drain them, cover them with milk and add the inside of a vanilla pod. Cook for an extra 20 minutes. If you are using fresh chestnuts, things may take a bit longer. First of all, you need to make a cross shaped cut at the bottom of the nut, to help you when it is time to peel them. Place them in plenty of water, add a pinch of salt and boil for about 30 minutes. Once they are cooked, you need to peel them and this can be tricky. Wait for the water to become lukewarm, then wear disposable gloves and peel the chestnuts one by one, leaving the others in the warm water. By doing so, the chestnuts will be easier to peel. Make sure you remove both the outer skin (the thick, dark brown one) and the inner one (thinner and lighter in color). Once they are all peeled, you can proceed with cooking them in milk as I explained above. Once the chestnuts have been boiled in milk, drain them and puréed them with a potato masher or a food processor. Add the rhum and the sugar, mix well then add also the powdered cocoa. Set aside and whip the cream with a bit of sugar. 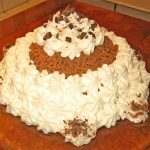 Once everything is ready, you can assemble your Monte Bianco: you can fill small single size pots with the chestnuts and top them with the whipped cream, or fill a larger dish, then cover it with the cream and serve in spoonfuls or slices, like a tiramisù or a trifle. Either way, you should refrigerate for a few hours before serving. If you like them, you can add some meringue and marron glacés pieces on top to make this rich dessert even more luxurious.